$1 Million Of Frugal Librarian's Bequest To N.H. School Goes To Football Scoreboard : The Two-Way A New Hampshire native, Robert Morin was known for his affection for movies and books. He left $4 million to the University of New Hampshire. Robert Morin left $4 million to his longtime employer, the University of New Hampshire. News that late librarian Robert Morin left the University of New Hampshire $4 million has been hailed as a symbol of Morin's dedication and generosity. But the school's decision to spend $1 million of that money on a new video scoreboard for the football stadium is being criticized. "A life lived in frugality, spent frivolously" on a million-dollar scoreboard, one commenter wrote on a local newspaper site, calling the decision "an assault" on Morin's life. Others say it's simply a shame that more of the money didn't go to the university's Dimond Library, where Morin spent much of his life. On the library's website, a message next to a button reading "Make a Gift" explains that the library "depends on gifts to improve our collections, facilities, services, and programs for students, faculty, staff, and New Hampshire residents." $100,000 to Dimond Library, to provide "scholarships for work-study students, support staff members who continue their studies in library science and fund the renovation of one of the library's multimedia rooms." In response to that allocation, New Hampshire graduate Claire Cortese wrote a critical blog post for the Odyssey website that was highlighted by Inside Higher Ed. In it, Cortese writes, "I doubt any student will look back in ten years and say 'man, that video scoreboard — that really impacted my experience at UNH in a meaningful and beneficial way.' "
Cortese also notes that the school's football stadium recently reopened after a $25 million renovation. School officials say the money for the library was the only "dedicated gift" in Morin's bequest, meaning that the rest of the estate was unrestricted; Deborah Dutton, vice president for advancement and president of the UNH Foundation, says, "Unrestricted gifts give the university the ability to use the funds for our highest priorities and emerging opportunities." When we asked a university representative if the bequest will result in anything being named for Morin, Erika Mantz, the school's director of media relations, noted that "a bench in the courtyard outside the library was inscribed with his name." Mantz added, "At this time a decision has not been made as to how we will further recognize Mr. Morin's incredible generosity." Morin was 77 when he died in the spring of 2015. 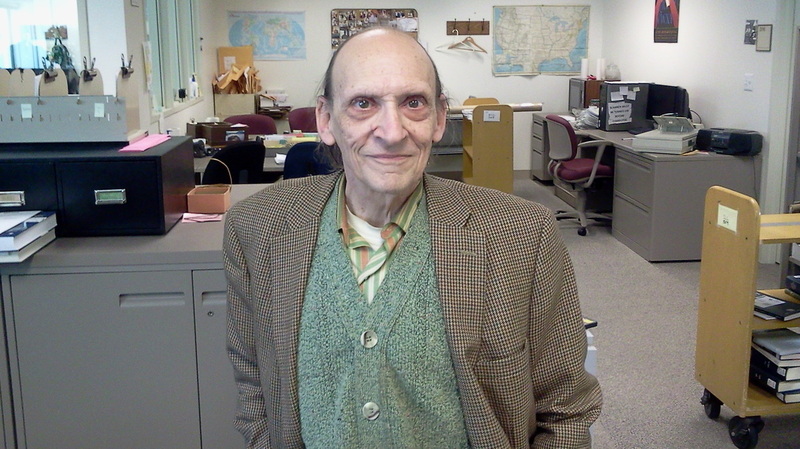 For nearly 50 years, he had worked as a cataloger at the university's main library. It seems that both Morin's wealth and his gift to the school took people by pleasant surprise. "I'm so impressed with his commitment to UNH, both in his years of service as well as this donation," one person wrote on the school's Facebook announcement about the bequest. "Speaking as a university librarian myself, it isn't easy to accumulate that much money!" "Did you hear about the scoreboard?" "Yeah. I'll be paying my student loans off until I'm fifty, and they spent a million bucks on a ****ing SCOREBOARD?" A New Hampshire native, Morin was known for his affection for movies and books; according to his obituary, his job entailed writing short descriptions of DVDs, entering CDs into the library system, and cataloging "book after book of sheet music." The only association between the librarian and the football program that was mentioned by the university was the observation that Morin had spent the past 15 months of his life in an assisted living center — and that there, "he started watching football games on television, mastering the rules and names of the players and teams." "Mullen said Morin had an older vehicle and, despite being a millionaire, he ate frozen dinners.
" 'He never went out,' Mullen said. "Mullen said Morin decided to give all of his money to his alma mater because he did not have any relatives he wanted to leave it to. Morin trusted UNH to spend the money wisely for students." Morin's only living relatives when he died were his two brothers, Ronald and Lucien, according to his obituary. He requested that there not be a public service for his funeral; he was buried in the family plot in St. Louis Cemetery in Nashua.